​I've been collecting Canadian silver dollars pretty much since I began my pursuits in coin collecting in the early 1990s. When I analyze why I enjoy collecting Canadian silver dollars, I usually come up with the same answer: they're large silver coins with a beautiful array of designs, most of them featuring scenes from the great outdoors. As a coin collector in the United States, I've never had ready access to Canadian silver dollars through banking institutions or circulation, which is why I've always turned to coin dealers to buy Canadian coins. The first Canadian silver dollar was officially released in 1935, a year that marked the silver jubilee, or 25th anniversary, of King George V of Great Britain. The obverse of the coin features George V while the reverse shows the Voyageur design that would become very familiar in Canada. 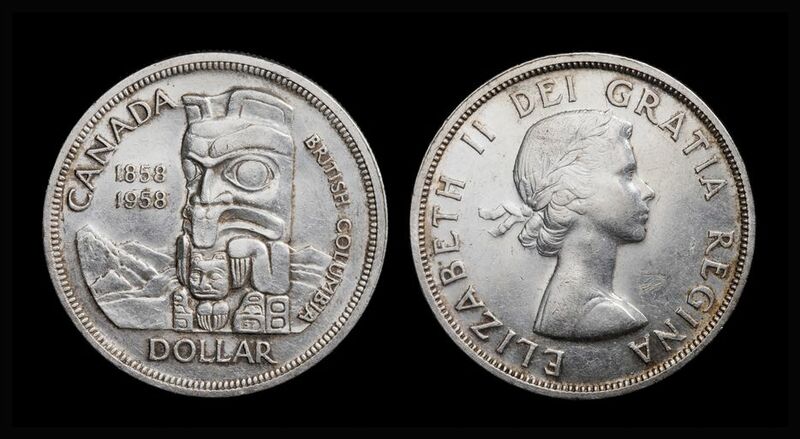 Canada would continue striking silver dollars for general circulation until 1967, the year that the nation commemorated the centennial of its Confederation. All circulating coinage in 1967 bore special wildlife designs, and the 1967 silver dollar followed suit with a beautiful reverse portrait showing a Canada goose in flight. Between the years 1935 and 1967, Canada would release four other circulating commemorative silver dollars. They include the 1939 Royal Visit dollar, 1949 Newfoundland dollar, 1958 British Columbia dollar, and 1964 Charlottetown dollar. All Canadian dollars made from 1935 through 1967 contain an 80 percent silver composition, making them fantastic coins for bullion investors. However, Canadian silver dollars are generally quite affordable and are in decent supply among coin dealers in the United States. You can buy them as singles or in roll quantities, the latter of which normally include 20 coins. For coin collectors who don't mind splurging on Canadian silver dollars, there are plenty of scarce dates. These include the 1945 and 1947 Canadian silver dollars, which sell for around $150 and up. The 1948 dollar is a true key date for the Canadian silver dollar series, as just 18,780 pieces were minted and sell for $750 and up. Indeed, Canadian silver dollars are ideal for any coin collector who enjoys gorgeous designs, relative affordability, and some numismatic challenges. Whether you're on the south side of the Canadian border or live in "The Great White North," do yourself a favor and check out the fascinating world of Canadian silver dollars. More than two decades on, I still can't get enough of these amazing coins.